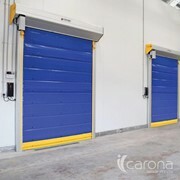 For many years, DMF have been providing solutions to improving the environmental impact of carwashes, by the addition of a high speed roll door. 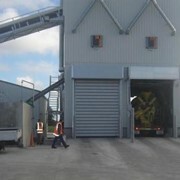 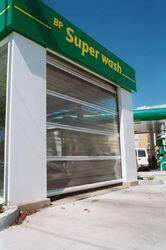 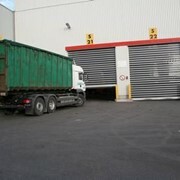 DMF can manufacture and supply specialised high speed doors for the carwash application. 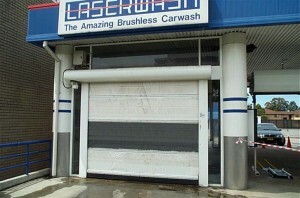 Automatic carwashes are increasingly needing protection of noise and overspray "pollution" for nearby residences. 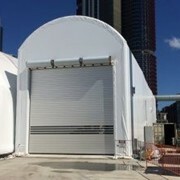 These doors are highly effective in reducing sound pollution and overspray, which is often a council requirement for carwashes in built up areas. 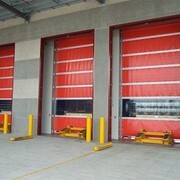 The door blades are manufactured from the option of tough polyester reinforced flexible PVC, with a clear panel section, or an all clear flexible PVC panel, which assists with light transmission and better sound insulation. 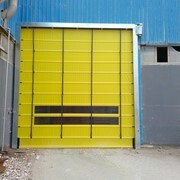 Other detailed options may include PU foam core door blades for high level noise reduction, using the Efaflex high speed door model. 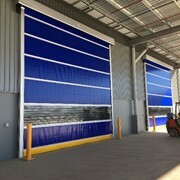 The design accommodates use in the moist environments, and doors may be mounted on the external or internal side of the opening into the carwash. 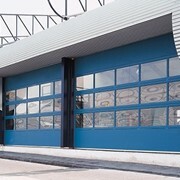 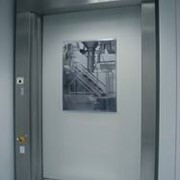 The doors can be constructed using the aluminium columns, which can be powdercoated, or in special requirements, these can be in stainless steel. 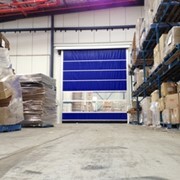 The door panel can be in an all clear PVC, or coloured polyskin PVC to suit. 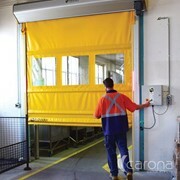 The control of the door is usually integrated with the carwash system, such that when the was is ready to commence, it activated the door to close, and then re-open on completion of the wash cycle. 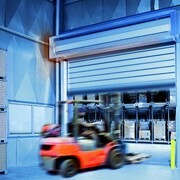 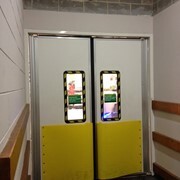 As an option, the high speed doors can have included a battery backup system, so that in the event of a power failure, the door can still be opened. 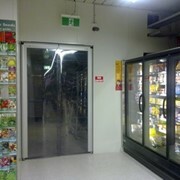 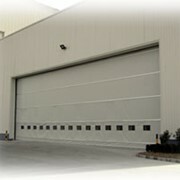 The DMF range of high speed carwash doors are custom made to suit your requirements. 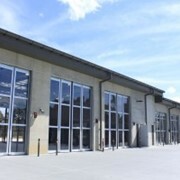 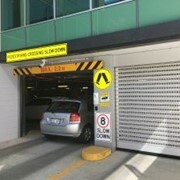 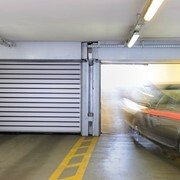 Contact us today for an assessment for your site and how we can supply high speed car wash doors.